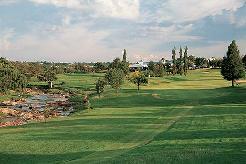 Pecanwood Golf and Country Club is situated on the southern shore of the Hartbeesport Dam en route to Sun City and north of Johannesburg. 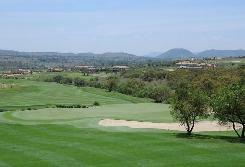 The name was inspired by the grove of pecan nut trees on the property and its a great course to combine with your visit to Sun City. Golf Data, the representatives for Jack Nicklaus in South Africa, were contracted in 1996 to build this challenging golf course that has been identified as one of South Africa’s leading golf courses in numerous surveys. From the design and development of a highly sophisticated irrigation and drainage system and the selection of suitable grass for top quality greens and tees, to the design of bunkers that ensure a challenging course, nothing was left to chance and the result is a golf course of class. Overlooking the Hartebeespoort Dam and the oldest reported mountain range in the world, The Magaliesberg Mountains, Pecanwood is currently rated in the Top 15 golf courses in South Africa. Pecanwood features holes similar to the finest holes in America including the 18th from Pebble Beach. With more than 50 championship courses spread across 20 countries to his name, Nicklaus design has won enough awards to rank him amongst the worlds best. The course is outstanding, both from its setting and for its design and layout. Whatever your standard of golf, there is a way round to suit you. The fairways are grassed with Kikuyu from tee to green while the greens are the first to be planted in South Africa in Crenshaw bent grass. Due to the extremely resilient nature of this grass, capable of withstanding the combined effects of heat and heavy traffic, they can always be cut low and kept fast. Wide fairways, big greens, a mass of bunkers, plenty of bail out areas and an absence of blind shots, all contribute to the excellence of this Nicklaus design. Pecanwood is appealing and playable to most levels of golfers, challenging their intelligence, rather than their strength. 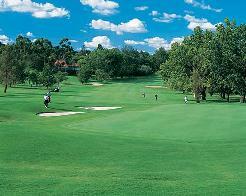 The golf course is aesthetically pleasing and the splendour of the course contributes to the overall golfing experience. Signature Hole: is the par-three 13th hole measuring 187 metres from the championship tee, and plays over a corner of the dam to a peninsula green.